Happy First Day of Spring! Don’t you think daffodils just seem like spring! 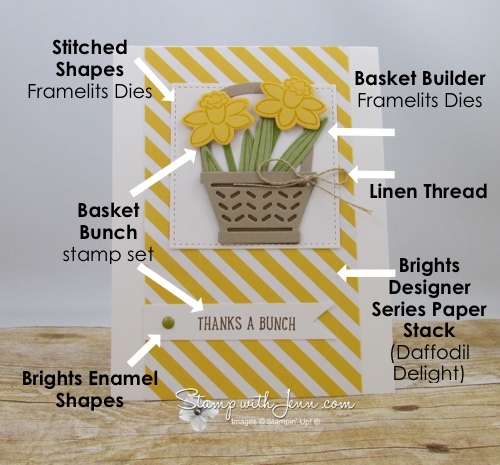 I made these bright and cheery daffodils in a basket with the Basket Builder Bundle (pictured below). 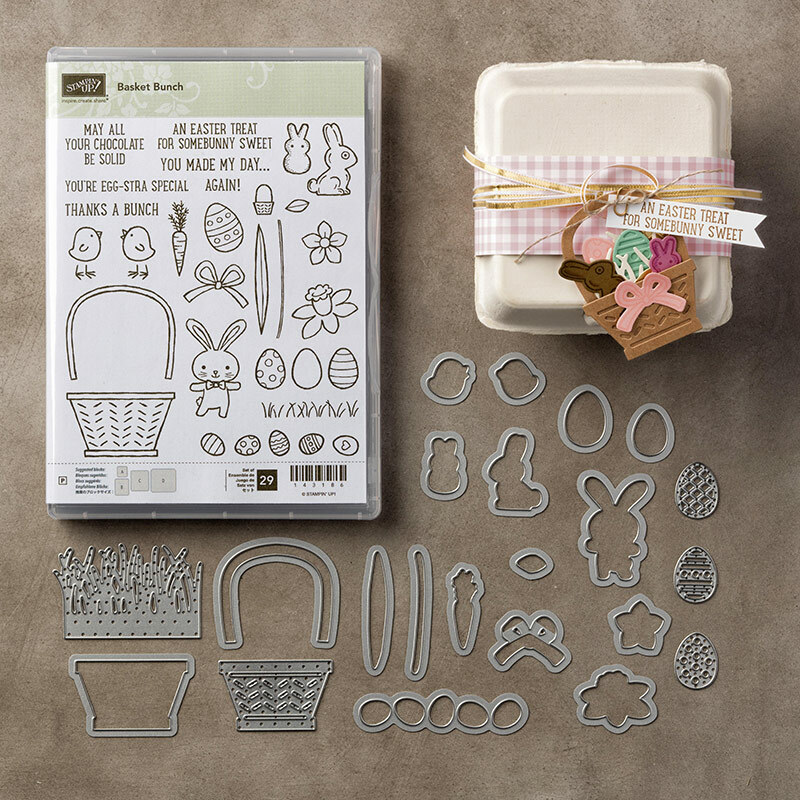 This adorable stamp set comes with so many different Easter and spring pieces. And almost every image can be cut out with the matching framelits! To assemble, I stamped the flowers and leaves first, and then die cut them. The other pieces, (stems and basket and basket handle) I just die cut. And because the pieces are so little, I was able to cut several out at once, so it went faster cutting out all those bits. See all the supplies below. You can see another card here that I made using the adorable bunny from the Basket Bunch stamp set. I’ll have some more Basket Bunch cards to show you this week at www.stampwithjenn.com. l Ever thought of joining?